My self and my husband, Jarryd, are big animal lovers. We look after others like they were our own and donate to charities that help pets find new homes and get medical attention. We also love to travel which is why we have decided not to get another fur baby just yet and to spend our time helping others enjoy their time away safe in the knowledge their babies are being well looked after. Jarryd is an avid photographer and I love my yoga. We also enjoy long walks and beach time. 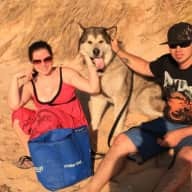 As a couple who own our own house and had 2 large dogs, who have since passed, we know from experience how hard it can be to find someone to care for your pet as you would, while you are away. For us it is an honor to be able to offer a service to pet owners and animals alike that is a huge comfort in a time that can be challenging. 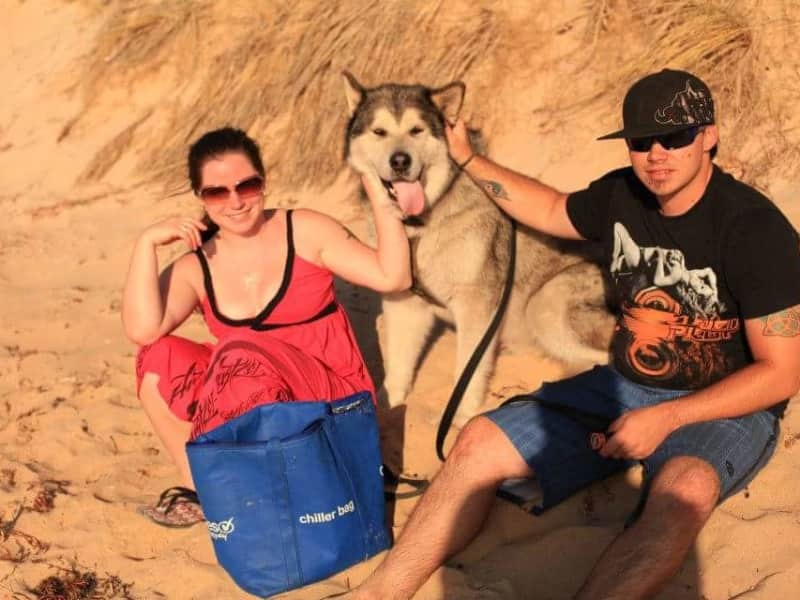 We have had our own pets together - an Alaskan Malamute and a Japanese Akita who have sadly passed away and are dearly missed. They were both rescue dogs so we are understanding of a pets need to have time to adjust to new faces. Both were very large breeds and we are both comfortable with larger dogs. 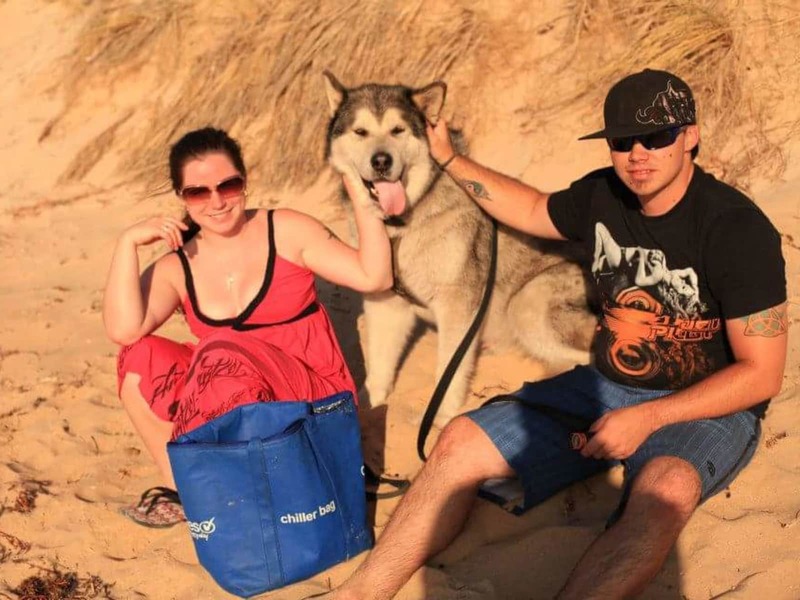 Our Malamute also had some health issues requiring medications and this was always a worry for me when we went away. It is an area I would like to put your mind at rest, I will always stick to your medical and feeding routines! We are also used to our pets having seperation anxiety and we will be there for your pet as it needs us. We have also looked after a Great Dane and mastiff together, and a little jack russle. We have both also been brought up with cats, back home in Scotland I always had 2 and Jarryd had 1 with 3 legs. We have both been brought up with a huge love for animals. To me they are members of my family and I treat them with the love and respect I would anyone else in my family. In the past we have house sat for family and friends when they have been away, looking after their homes and pets. We always leave as if we had never been there, it is so important to us that you do not feel put out in any way by our presence in your home. Having employed Robyn recently, I am confident that I can provide an accurate and dependable reference for her. Robyn is a mature, confident and capable young lady, capable of adapting quite rapidly to new and challenging circumstances. She sets very high standards for herself and dedicates herself to achieving these. Once she has become established in her role, sh is very reliable and readily contributes useful suggestions for the improvement of the business. Robyn is very capable of working with independently with a minimum of supervision but she is a valuable member of team operations bringing flexibility and effectiveness to the organisation. As a person, Robyn, in my opinion, is honest, reliable and moral. I would be very happy and confident to recommend her for situations where it is an essential requirement to have robust adult and moral standards. Robyn has looked after our 20 acre rural property and our pets (cat and dogs) on numerous occasions. She has also house sat our homes in Bunbury WA and Hopetoun WA and i have no hesitation in recommending her as a Trusted Housesitter. Animals are her kindred spirits and she is a very gentle soul. Beautiful people, they treated my 2 large dogs as if they were their own children. Will definitely be using them again for dog and house sitting. No attention to detail was missed, from medication to walking and bathing routines, my home and animals where in good hands and i could go on holidays knowing they were loved and happy.